Keep hydrated and stay stylish at the same time! This Marvel Heroes Panel 24 oz. 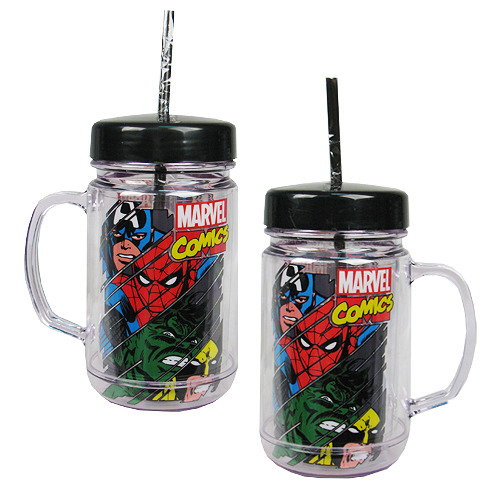 Mason Jar features a cool image of Captain America, Spider-Man, the Hulk, and Wolverine. Mason jar features a handle, and includes twist-off lid with straw. Holds up to 24 ounces. Hand wash only. Not dishwasher safe. Do not microwave.